Thought trash the dress was fun? Check out this Burn the Dress session from a Bride in Philadelphia. She contacted me after getting married and wanted fun Trash the Dress images. The wedding images she got from another photographer were good but she wanted something else. She wanted to Burn Her Dress! 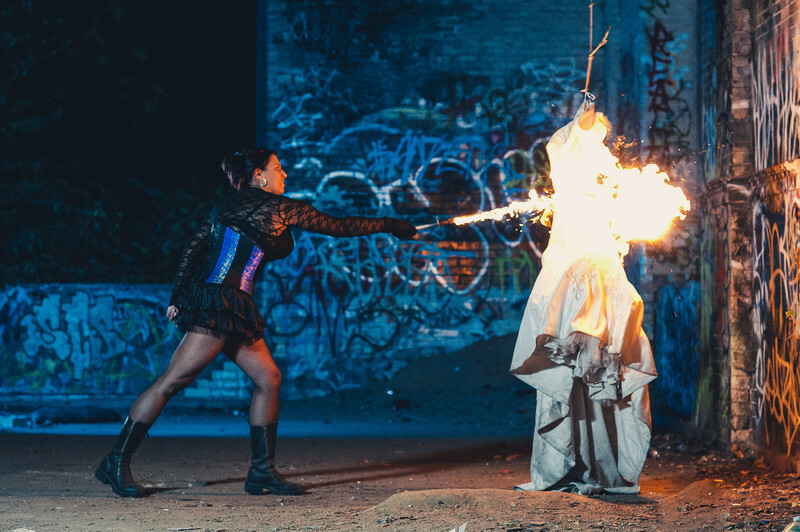 So she learned how to use a fire whip and we found an abandoned warehouse on the edge of Philadelphia to pull off this photoshoot. An assistant with a fire blanket was right out of frame of camera in case anything went a little crazy.